Restricted to 95 pack/items(s) only. This lovely white chiffon is made from non-woven recycled cotton & viscose blend paper. One side has a gorgeous white pearl coating and our stunning Chloe pattern printed in pink glitter. Pearl Coating and Glitter pattern is on one side only. Reverse side is plain white non-woven finish. Because the cotton strands are delicately pressed together, rather than woven, the end result is a delicate chiffon type finish that is semi-transparent when held up to a light. However, as this one has a pearl coating, it is still delicate & soft to touch but it is the colour and appearance is solid and not transparent. 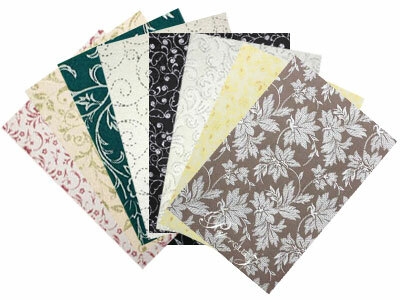 Our handmade chiffon or non-woven papers are specified at 40-50gsm before any glitter printing and/or coatings (not 30-35gsm like some thinner copies). This makes them thicker and more luxurious to touch. Even better, they are also much, much easier to glue down! 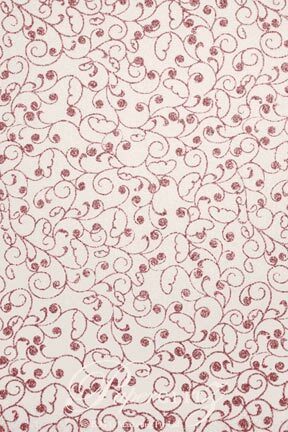 This paper is made in our new blend of viscose & 100% first grade recycled cotton, making for a thicker and more luxurious appearance and feel. Our glitter stays on the paper, not all over you and the room you are working in! 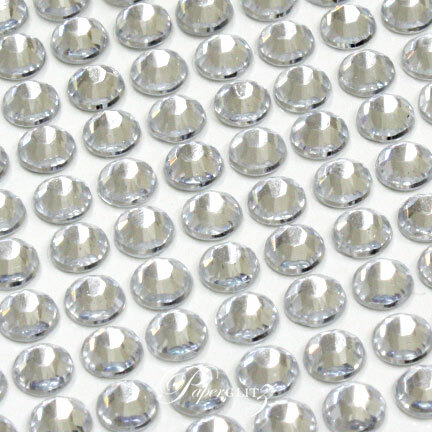 Our exclusive glue formulation means more glitter on the sheets and amazing definition! All handmade full sheets are at least 56x76cm before coating. 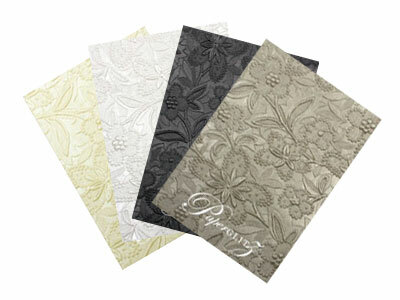 Heavily embossed designs may shrink final size by a few cm. Some sheets are supplied untrimmed and may be slightly larger. Very popular paper for wedding invitations, invitation box liners, florist bouquet wraps and other high end craft applications. 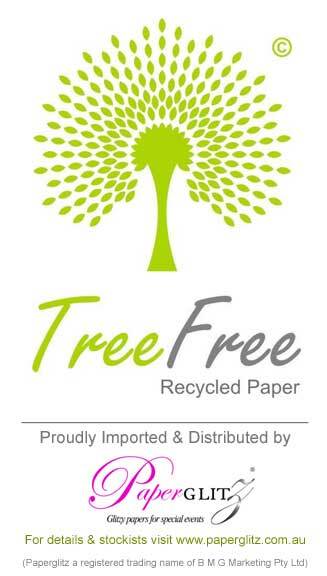 Not only is it beautiful, this paper is also 100% Tree Free - only a blend of viscose & 100% first grade recycled cotton off-cuts/waste from the textile industry. We deal direct with the factory and not with traders or merchants - meaning we have better control over quality & consistency. Don't waste time with cheap & nasty copies that are patchy and lack the definition of this beautiful design - only Paperglitz can supply such amazing detail in glitter printed papers! 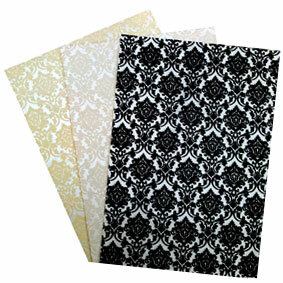 This paper is also available in A4 Sheets, and we can also guillotine to your specification. 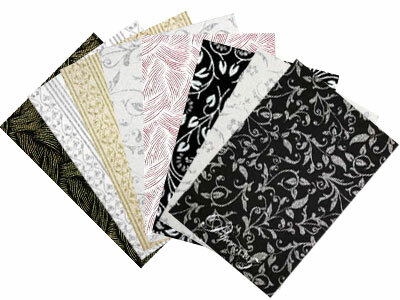 Buy with confidence and specify only "Genuine Paperglitz Handmade Glitter Print Papers" for your next project.